Featured photo: November 2017, Cork Elementary School, a budding young gardener gets an expert tutorial from Autumn Schwab White on how to plant muley grass. 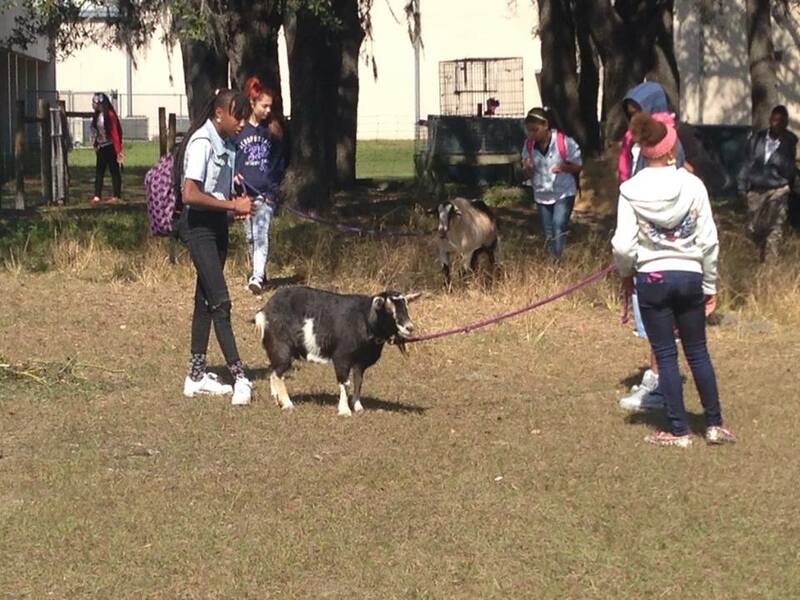 Tampa Bay Farm2School partners with schools and community organizations dedicated to educating future environmental leaders. We work with individuals, group volunteers, educators and local businesses to establish and maintain infrastructure to enhance the learning experience. 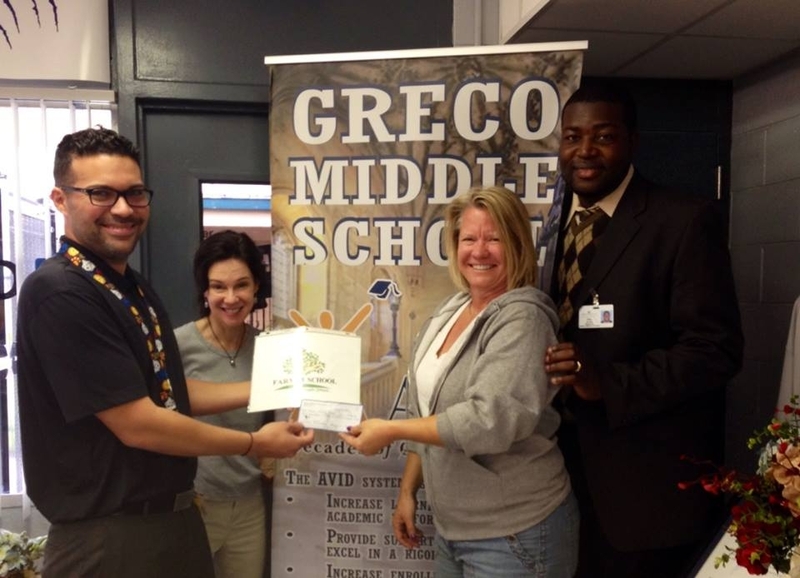 Last year we supplied Earthboxes and herbs for Greco Middle School's culinary program and established a reading garden for Cork Elementary School. During the 2018/19 school year we are preparing to build two school gardens and launch our mobile Kids' Kitchen. Come support a team dedicated to sowing the seeds for cultivating society's future pioneers at upcoming events. 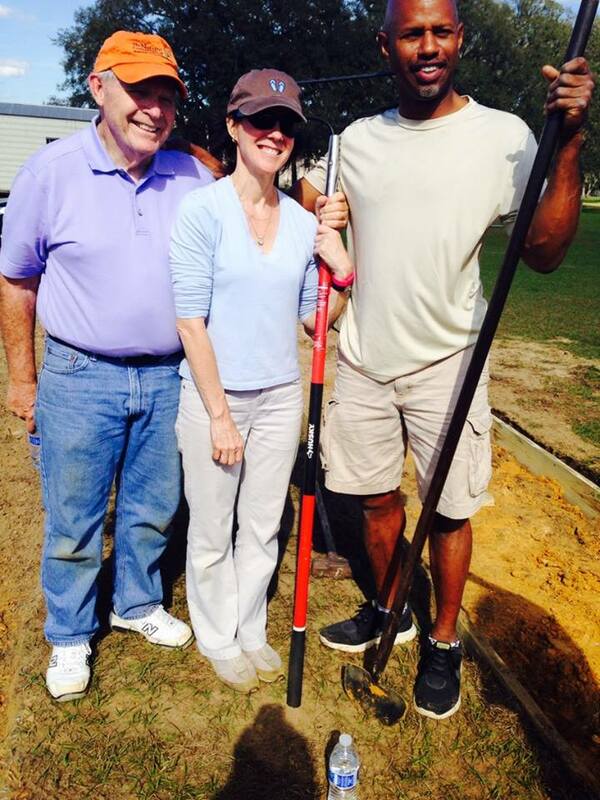 Volunteers with the Patel College, Grace Imperial Church and TBK8 will be preparing the ground for the new fourth grade gardens we'll install Nov. 3. Please join us! Special thanks to reading garden sponsors: Tampa International Airport, Tampa Bay Trane, the Phoenix Agency, Tampa Wholesale Nursery, Southern Irrigators, Dragonfly Landscaping & Design, US Green Building Council - Suncoast Chapter. Community volunteers, school faculty, staff and students participated in the Green Apple Day of Service at Cork to install a reading garden. Special thanks to Tampa Wholesale Nursery for donating plants, Dragonfly Landscaping for donating the professional design used for the placement of plants, small trees, walkways and seating areas. Another special thanks to Southern Irrigators for installing the irrigation throughout the landscape. 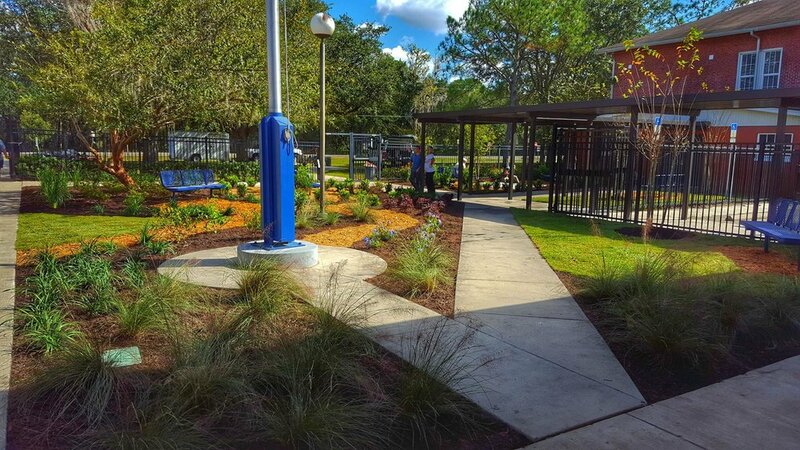 Volunteers are invited to join TTF2S to work alongside US Green Building Council, USF Environmental Club and Patel College student volunteers to weed, plant and mulch the pollinator garden at Greco Middle School, 2 miles east of the entrance of USF/Tampa campus. 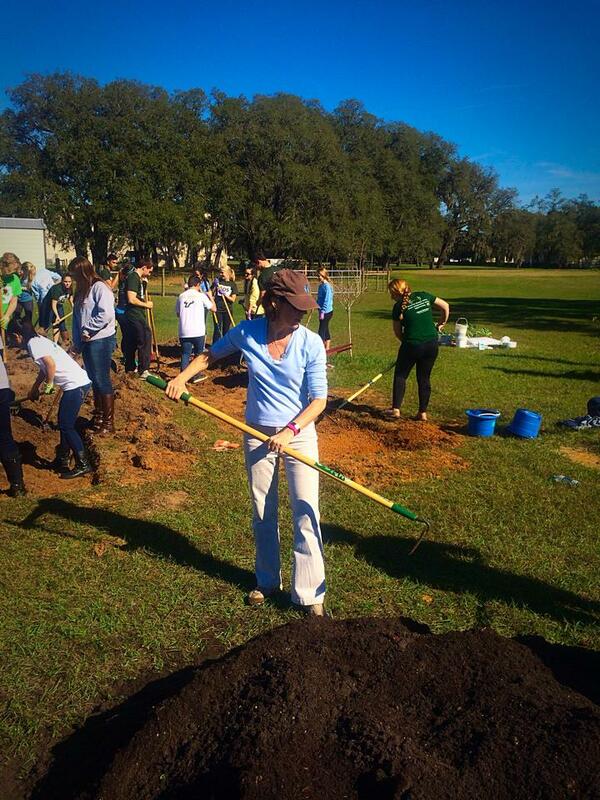 Community volunteers are invited to work alongside USF student volunteers at the inaugural workday at Turner-Bartels K-8 school in New Tampa. Planned tasks include constructing new garden beds for crops to be used by students and teaching of sustainable agriculture concepts. 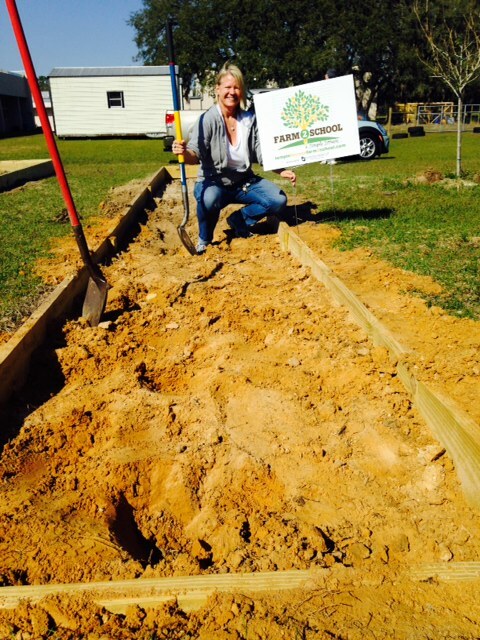 Community volunteers are invited to work alongside USF student volunteers at Cork Elementary School, site of the 2017 USGBC Florida Gulf Coast Green Apple Day of Service. Planned tasks include upkeep of the reading garden including mulching and weeding. 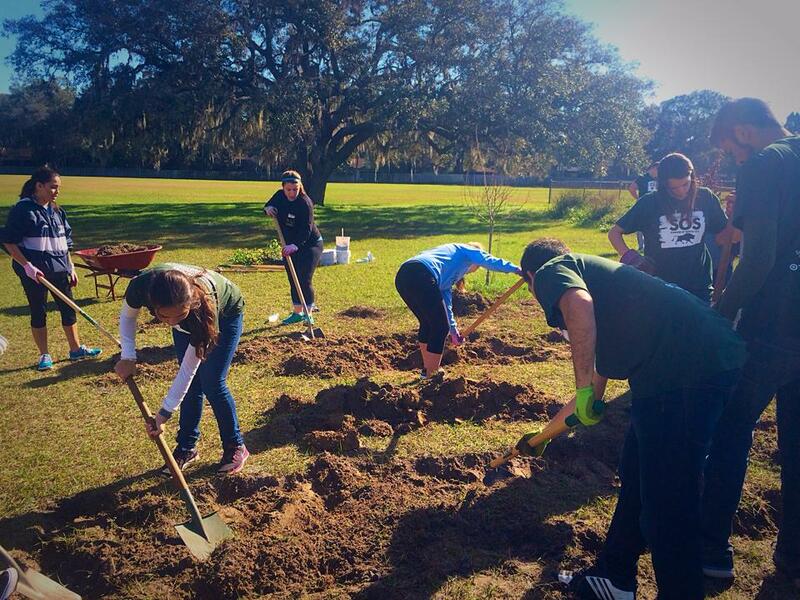 Community volunteers are invited to work alongside USF student volunteers at Greco Middle School, site of the 2015 USGBC Florida Gulf Coast Green Apple Day of Service. Planned tasks include painting areas of the school, mulching and weeding. Community volunteers, school faculty, staff and students participated in the Green Apple Day of Service at Cork to install a reading garden. Special thanks to Dragonfly Landscaping for donating the professional design used for the placement of plants, small trees, walkways and seating areas. Another special thanks to Southern Irrigators for installing the irrigation throughout the landscape. 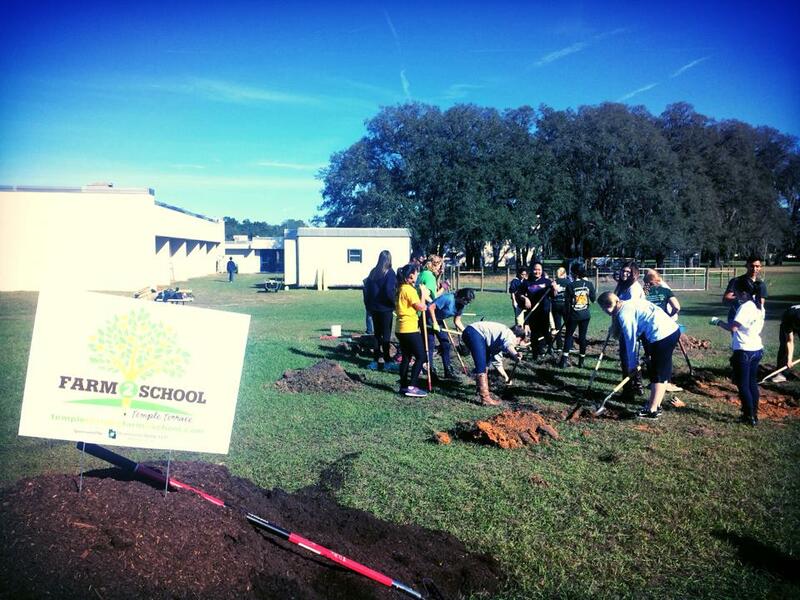 Green Apple Day of Service @Cork Elementary is produced by TTF2S in partnership with the US Green Building Council Florida Gulf Coast Chapter. The United Way and the Patel College of Global Sustainability established an herb garden for Greco's culinary arts students. Students will use the fresh greens in the dishes they prepare throughout the year. For updates, visit the Temple Terrace Farm2School Facebook page and/or join the Greco Supporters Farm 2 School group page. For several years as part of its regular offerings, Greco Middle School has offered classes in culinary arts and agriculture and has a teacher for each of those two subjects. In partnership with the newly formed Farm 2 School board, school administrators have agreed to encourage the two teachers to coordinate their efforts so that students have opportunity to grow and prepare healthy food. 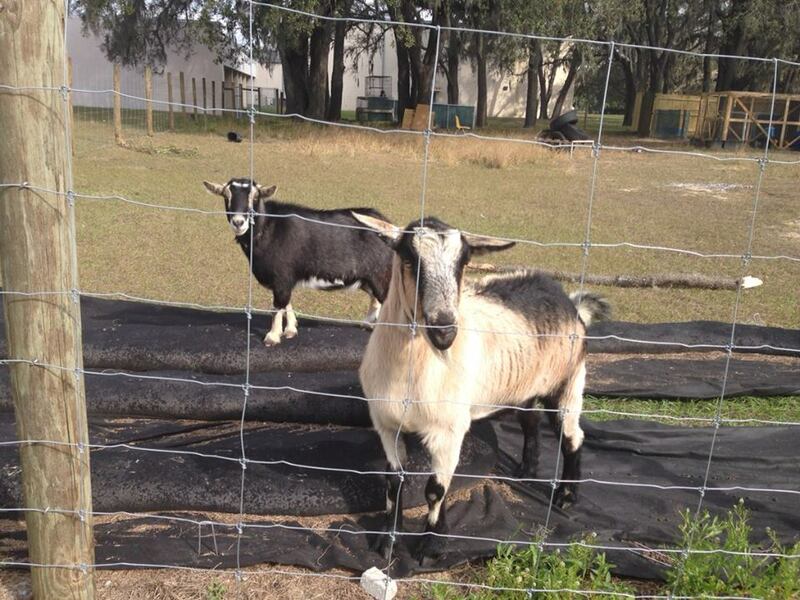 Nearby Student Volunteering Base: The University of South Florida campus is just two miles west of Greco Middle School and has students interested in local agriculture and civic action and some professors and others willing to help facilitate student engagement in Farm to Fork project at Greco and across Temple Terrace. Robust civic engagement culture in Temple Terrace: Temple Terrace has long held numerous civic organizations and has the reputation for being a better than average community of civically engaged citizens. These tendencies brought the community garden to Greco and these tendencies that have propelled this initiative forward since June 2014.